A small island not far from the city’s hustle and bustle, but oh what an escape. 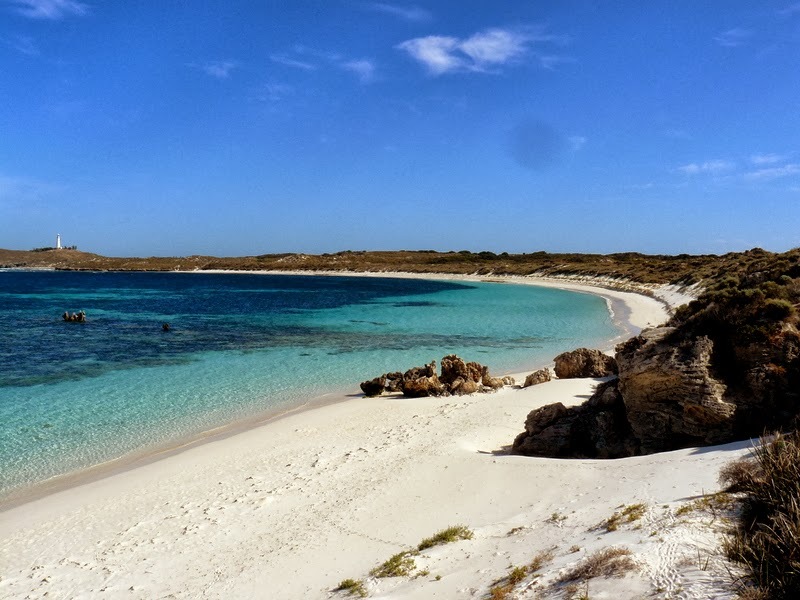 White sand, turquoise waters and friendly marsupials native to its tiny shores. Salt lakes of pink and just off the beach beautiful limestone coral waiting to be explored. Colourful tropical fish, blue crabs and a green turtle passing through, all enjoying the warm flow coming from the north. Private beaches and stunning sunsets to end a glorious day. A landmass with an ancient history and spirits that roam, humans enjoying the view perhaps some 6,000 years before sea level rose. Once used as a prison now a holiday destination. Patrolled by new prison guards, venomous dugite snakes, great whites and Australian lions of the sea. Do you have somewhere you can escape to? 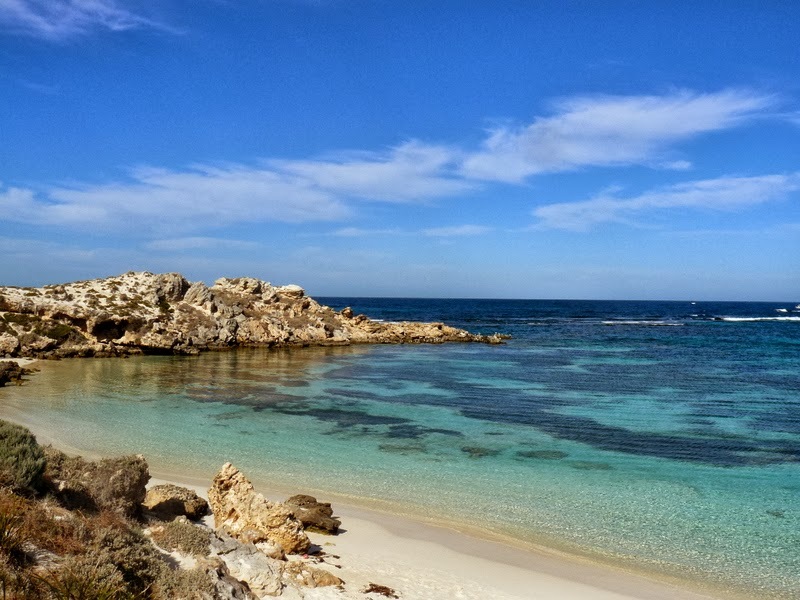 Rottnest – next stop Penguin Island? 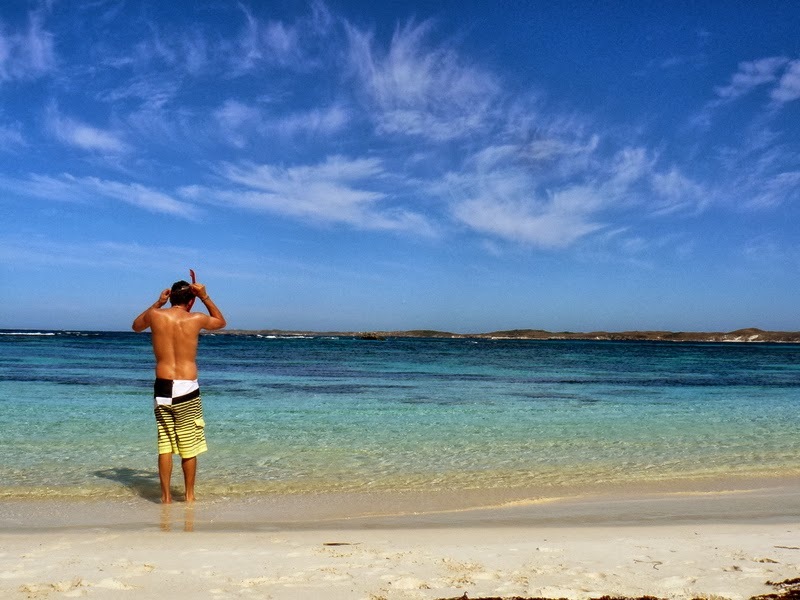 Is this Rottnest? 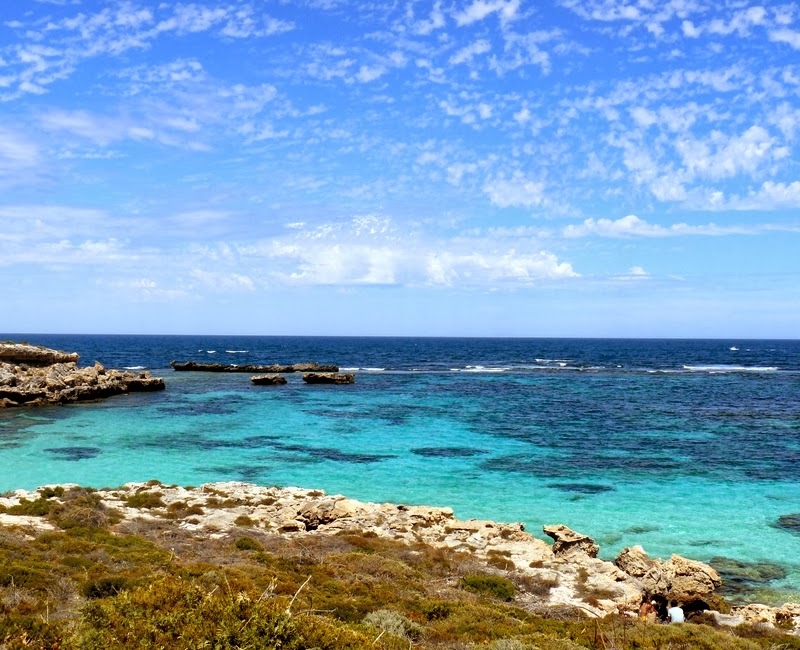 I love that turquoise colour you get in the West Australian beaches. I am an Aussie and I love my country. You showcase it so beautifully. 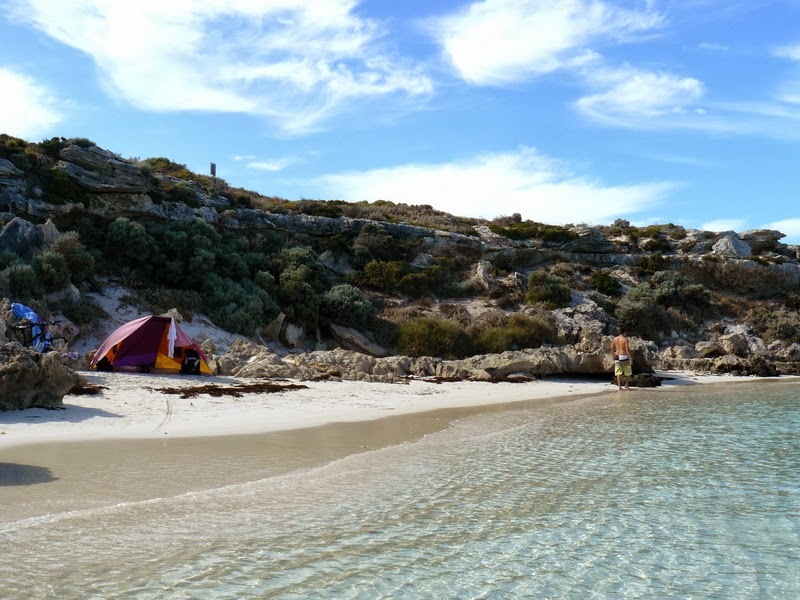 Hi Karen, yes you guessed it, its the beautiful hidden jewel Rottnest. Its easy to showcase natural beauty. I have grown to love your country also. Thanks for stopping by. I love escaping to my bedroom. My room is my calm and safe spot.